I am a UK born artist living in the fun City Bristol. I studied an illustration degree and loved it. I have been a practicing illustrator for over 13years now. I try and make sure I’m in a good relaxed positive mood and I start to brainstorm possibilities and boundaries on a sheet of paper. I look for reference if I need it, and I make a plan of action working backwards from a deadline. Tell us about your art- where do you get your inspiration from? I would describe my art as whitty, bright and fun. My ideas extend from the nonsensical world we live in, and the wonderful way we communicate. I love word play and making the simple more simple. What is your primary medium of choice? 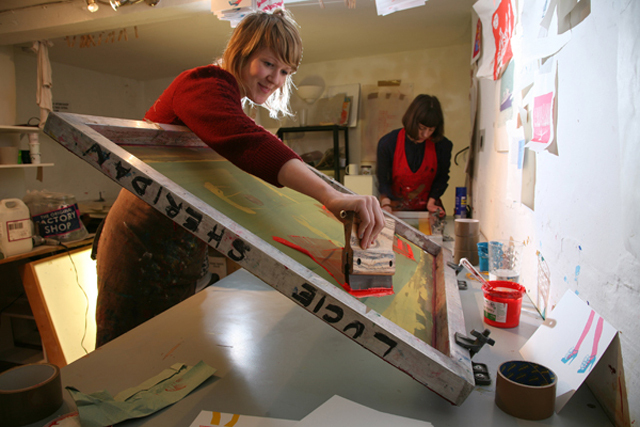 Screenprinting- I love its immediacy and flatness. Looking back at all your artwork, which one is your favourite and why? At this moment it’s probably ‘House’ I am so pleased with its colour palette and basic primitive shapes. Mostly though I love the idea behind it. 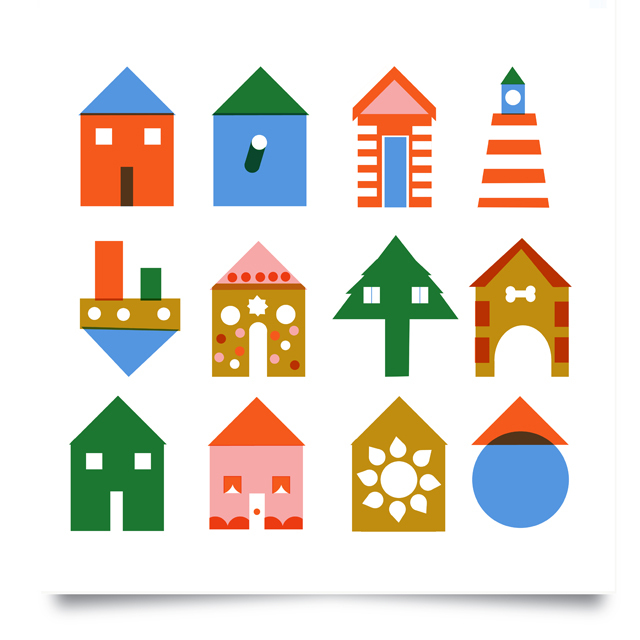 Each image is based on a common House shape – that changes slightly to illustrate a popular house phrase..I’ll start you off..House/Bird House/Beach House…can you guess the others? It’s a Ridgeback Works well with a child seat on the back! I like the independence and no traffic jams in the City! Plus its free and I can get to the studio home and back super quick. I loved cycling around Berlin, we hired a bike, its such a large City but Im pretty sure we got to see most of it! 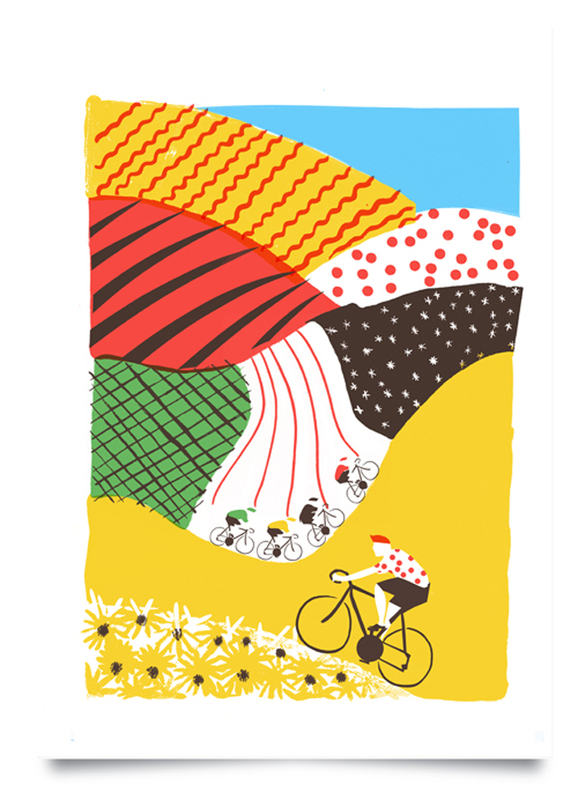 I love a cycle and a family picnic in near City Bath.